St Augustine Alligator Farm was founded in 1893 the Alligator Farm is an oasis of wildlife for reptiles and birds in their natural environment. A safe place to view some of the oldest and largest Alligators in Florida, at the right time you can view the feeding which is really exciting and worth the wait. Concession stands fun and learning for everyone at the Alligator Farm of St Augustine. Anastasia State Park located adjacent to the St. Augustine Amphitheatre and welcomes hundreds of thousands visitors from all over the world to enjoy our natural and cultural treasures. At Anastasia you can enjoy camping, nature trails, beach time, water sports, and an archaeological site where coquina rock was mined to create the nearby fortress, Castillo de San Marcos National Monument. Anastasia State Park, located just south of historic St. Augustine on Anastasia Island, has 4 miles of pristine beach, a tidal salt marsh, and maritime and upland hammock. Camping, beach combing, swimming, fishing, picnicking, windsurfing, hiking, wildlife-viewing, canoeing and kayaking are popular activities. Nature trails meander through the ancient dunes shaded by hammock forest. 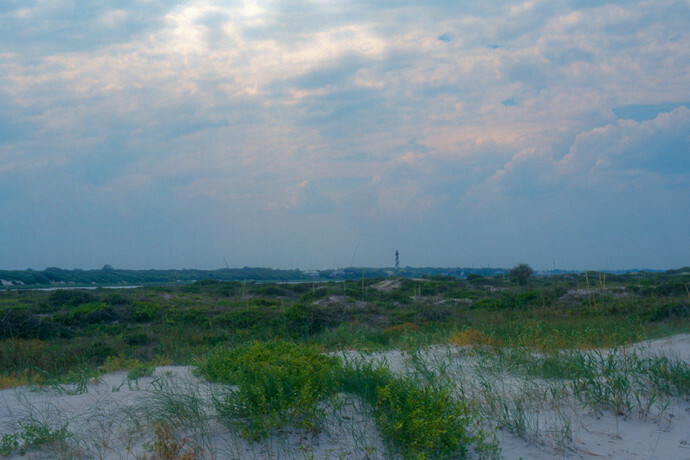 The full-facility campground is located in a wooded area within easy bicycling or walking distance of the beach. $28.00 per night, plus tax. Includes water and electricity. St Augustine Black Raven Adventures Black Raven Pirate Ship is easy to find at the City Marina. One of a kind, the Black Raven has a mystic of dirty rotten scandrals and fair maidens. The aura of this ship is grandiose and a bit frightening in all the good ways. Authentic costumes and great details have been taken to character and the pirate lifestyle. Great for kids and adults, the ship has a bar and serves drinks and caters to kids. You can’t visit St Augustine without experiencing the Pirates of the Black Raven. St Augustine Castillo de San Marcos Fort is a stronghold of activity in downtown. Visit the fort and experience costumes and armory rehearsed in authentic detail. Watch the Spanish style cannons go off everyday with in the fort. Learn the procedure for firing muskets and be thrown into jail all within the confines of the fort. Sit and enjoy a rich history of how America came to life right below your feet. Explore the crevices of the fort and take pictures with Spanish and British guards. Walk the mote around the fort and cross the draw bridge, learn your history and have a great time at the Castillo de San Marcos. The Colonial Spanish Quarter is one of St. Augustine’s most famous attractions and always a popular place to spend the day. The Colonial Spanish Quarter is a living history museum complete with period city dwellers who act out what life was like for the early Spanish soldiers and settlers to St. Augustine. The Colonial Spanish Quarter is open each day from 9 a.m. to 5:30 p.m. except for major holidays. When visiting St. Augustine for a fun filled vacation you’ll want to take a tour of this phenomenal location. Browse the rooms in our historic Bed and Breakfast in St. Augustine and come and stay with us today! Flagler College is a fortress in the heart of down-town St Augustine. Its castle like appearance is rich in history and education. The college has many photographic statues and areas to snap great pictures of the grandeur of American History. The hustle and bustle of the college scene is invigorating and fun, it will spark life into anyone who visits. With more than 73,000 acres, this aquatic preserve – officially known as the Guana Tolomato Matanzas National Estuarine Research Reserve – is between Jacksonville and St. Augustine. It includes Old Florida beaches, sand dunes, salt marches, tidal wetland and estuarine lagoons. There’s an unofficial gay meet-up at Guanas first beach access point, reached by a boardwalk that winds down a 40-foot-tall dune system to a pristine stretch of secluded sand. Along A1A Best time to go: In October for River City Pride Parade in Jacksonville. St Augustine Lightener Museum is the former Hotel Alcazar built in 1887. Flagler commissioned the erection of the hotel and it has been through many changes in the years. It has transformed into a hotel, museum, gardens and now shops adorn the downstairs and city hall is based out of this structure. You can't miss this pinnacle of downtown, the relaxed feel has many relics’ of the past in the museum on campus and an incredible cou pond with some of the largest gold fish I've ever seen. The St. Augustine Lighthouse & Museum is dedicated to discovering, preserving, presenting and keeping alive the story of the nation's oldest port. America’s history will never look the same after a visit to the St. Augustine Lighthouse & Museum. From the breathtaking views of Northeast Florida to the artifacts recovered from our ancestors’ vessels, the St. Augustine Lighthouse & Museum covers centuries of history from in and around St. Augustine, Florida. St Augustine Mission where Ponce de Leon built his first alters is the scene for one of the most manicured and well maintained cemetery’s I have ever seen. The gardens are beautiful and shady, many come just to enjoy the sites and learn more about the catholic religion. The enormous cross was erected to commemorate the mission and can be seen all over town. Exceptionally gorgeous with lots of possible picturesque views. The Night of Lights Festival, named by National Geographic as one of the top holiday displays in the world, is a two-month-long series of events in the Old City, starting with the festive ceremonial "Light Up Night" at 6:30 p.m. Nov. 23 in the Plaza de la Constitution and glittering through Jan. 31. The centerpiece: Buildings, trees, trolleys and just about every other inch of the town are adorned with millions of white lights. Nights of Lights, funded by the City of St. Augustine and the St. Johns County Tourist Development Council, includes special concerts, parades, tours and re-enactments as well. Visit www.nightsoflights.com for more information. The Oldest School House in the USA built over 200 years ago. is located on St George Street. Amazingly it still stands and the bells of class can still be heard from the class room. The teacher ushers the students inside by ringing the bell even to this day. This historical monument has been fortified but still leans to one side. Come, class is in session and you’re late! Our featured attraction, the González-Alvarez House is the oldest surviving Spanish Colonial dwelling in Florida. The site has been occupied since the 1600s and the present house dates to the early 1700s. Since 1893 visitors have toured the house to see evidence of the Spanish, British and American occupations of St. Augustine and to learn how the residents lived. In 1970 the U.S. Department of the Interior designated the house a National Historic Landmark. A must-see on your tour of the nation's oldest city. 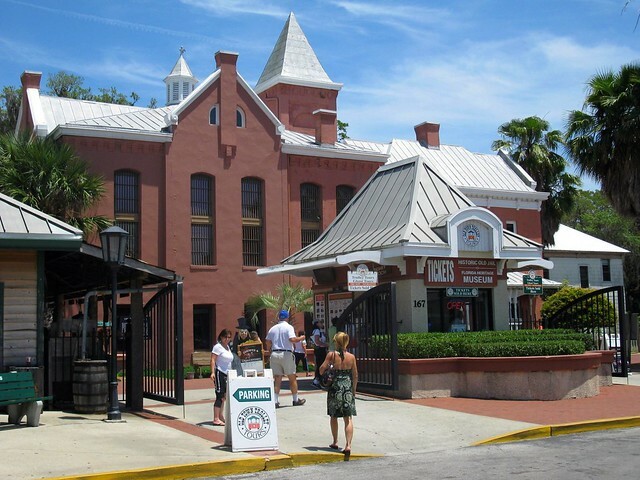 The museum complex, owned and operated by the St. Augustine Historical Society, includes Florida's Oldest House, two museums, a changing exhibition gallery, an ornamental garden, and a museum store. Your admission ticket gives entry to all facilities. St Augustine Potters Wax Museum you can hob-knob with the rich and famous and all the influential characters of Saint Augustine’s past, even some futuristic characters we all know and love. The Potter's Wax Museum is known for its creepy realistic Wax figures. The museum also has, as seen on TV, a few ghosts that lurk around at night! View the techniques and tactics of how they create real life wax replicas of all the movers and shakers we know and love. St Augustine hosts the flagship of Ripley’s Believe It or Not Location. This place has some of the most unbelievable items known across the world. Collected and displayed are items that will certainly make you wonder if this is possibly real. The Saint Augustine location has one of two actual replicas of the Statue of David. It also holds the house made out of a tree trunk complete with a kitchen and bedroom. Ripley's award winning paranormal investigation takes you down the narrow streets of St. Augustine, stopping to investigate at the old Spanish Fort, the Public Burying Grounds, As you conduct your own, interactive investigation of the most haunted building on the Southeastern Seaboard, Ripley’s Castle Warden. Tip-toeing through the Ripley’s Castle Warden in the dark is creepy enough for a lot of people (employees included), but an amazing and bizarre incident recently sent no less than five guests running for the exit in a panic. The San Sebastian Winery area is considered the birthplace of wine in St Augustine. Enjoy the gift shop and wine tastings, as well as a tour of actual wine making. The roof top is available for weddings and local bands play on the weekends. The right spirits and fun times, the Winery is the place to be. Since the 1900's St. Augustine Scenic Cruise has been giving visitors to St. Augustine a unique view of the city and a way to enjoy St. Augustine's historic land marks and natural beauty. Relax and enjoy a one hour and fifteen minute cruise aboard the Victory III. Narrated tours by the Captain provide an incomparable way to view St. Augustine’s historical landmarks and natural sites of interest. The Schooner Freedom has been sailing the waters of historic St. Augustine since 2001. We offer relaxing Day, Romantic Sunset, and Enchanting Moonlight Sails, as well as a variety of special events throughout the year. Our family invites your to join us for an amazing sailing experience.The 76-foot Schooner Freedom; St. Augustine's only Tall Ship; departs daily from the City Marina. Submerge yourself in a life at sea on one of our day or sunset sails and enjoy the history and romance of historic St. Augustine from a new perspective. Discover untold history as our guides demonstrate "cutting edge" colonial surgery techniques. Immerse yourself in another era- you've only explored St. Augustine when our guides have taken you back to colonial times. Explore an authentic reconstruction of a Military Hospital that stood on this site during the Second Spanish Colonial Period, 1784-1821. Experience life as a doctor or patient in 1791. Here, you can experience a tapestry of medicine- uncover how Spanish physicians wove together knowledge from Europe and Africa to achieve an astonishing survival rate. Visit our apothecary's garden and appreciate herbs which are still used in medicines today. The St Augustine Amphitheatre was once the rock quarry for the Castillo De San Marcos Fort we now see on the bay front. In 1965 the City of Saint Augustine decided to make it a natural amphitheater. From then it slowly crumbled until 2002 when the city restored it brought into a modern day venue hosting all the big names. At the base of the Vilano bridge is a sure treat for the kids. The St Augustine Carousel is a fun get away from the day to day plans. A nice park for the kids that is shady and fun. The library is next door with free computer access. The Carousel is beautiful and colorful and runs at certain times. I have heard that for the romantic at heart that they will make an appointment to give you a ride at the time of your desires. Davenport Park has a full scale, antique carousel offering rides for little ones 7 days a week all year round for $1 per ride. It is so quaint, and wonderful to see the little kids really enjoying the carousel! We are a brand new business collaborative; a group of locals that share a dream. We wanted to bring the national movement of distilling super premium, small-batch spirits to our community. And we want to do it better than anyone in the world. We knew that if we could bring some of the world’s best distilling experts here — the oldest and coolest small city in America — with access to locally grown sugar cane, wheat, corn, and citrus, we could develop a ﬁner quality spirit than just about any other place in the world. When we engage our farming partners to help preserve our heritage by growing crops unique to our region, we challenge the status quo of commercially produced spirits. In turn, we will provide greater choices to our friends and customers. And as we explore and develop new products, we will share them with everyone who wants to learn with us. St Augustine Fountain of Youth is known around the world. Take home a vial of water from the Fountain of Youth as a souvenir and enjoy the beautiful gardens of the grounds. Snack shacks are located around and all the necessary amenities are available. Enjoy the wild peacocks that have taken roost on the grounds and multiplied. A great picture opportunity to stand close to these amazing looking birds. Reenactments of cannon fire and muskets are scheduled and lots of interesting history to be learned. Enjoy a taste of youthful water from the fountain. St Augustine Light House was built in 1874 and is consider the oldest navigation point in North America. In 1955 the tower was automated but the tower keepers home still resides and is available to viewers. From Ghosts to exercise, the light house park has a lot to offer, climb to the top of the Light House and view all of St Augustine, museum, tennis courts, boat dock and ramp, fishing pier, picnic area and park. The Light House is a must see if traveling to St Augustine. Nestled in the heart of St. Augustine, just south of the Historic Bridge of Lions in the city's historic district, is a true treasure for anyone traveling the Intracoastal Waterway: the St. Augustine Municipal Marina. This ideal location provides a picturesque and convenient harborage for both sail and power boats with a friendly and helpful staff that is on duty 24/7 year round. Fuel, oil and ice available at the fuel dock, and the marina has clean and secure restroom/shower facilities and a laundromat. Pump outs are available in most slips. In 2013, the St. Augustine Municipal Marina added a new breakwater dock to the north side of the marina. Opening in June of 2013 this dock provides protection to the marina from north and northeast winds, turning the north side of the marina into a more sheltered basin. The new dock also provides nine 42 foot slips and a large face dock with two spaces over 200 feet. The dock was installed with water, electric and pump out available at all slips. St. Augustine Municipal Marina provides all the amenities necessary for an enjoyable stay, plus the added benefit of being located in the center of "The Nation’s Oldest City." Saint Augustine Villa Zorayda is a collection of artifacts over the years from gambling to the start of Saint Augustine Spanish décor. The home was build by prominate individuals and become a standard for décor around Saint Augustine. It boosts that there is an oriental rug that was taken from an Egyptian pyramid woven by ancient cat hair of Pharaohs. It is a must visit and an easy place to find since the bright colors cant help but to catch your eye. The Villa Zorayda is a great place of history and items to explore. Welcome to the Ximenez-Fatio House Museum, one of St. Augustine's most authentic historic properties. The museum complex is located on Aviles Street, America's first platted thoroughfare, in the center of the city's oldest community, the Old Town area South of the Plaza. The property includes a ca. 1798 coquina stone House, the region's only detached Kitchen building, a reconstructed ca. 1802 Wash House and a new Visitor Center with state-of-the-art interactive exhibits and a Museum Store.